Blockchain is the single most disruptive technology for the international development sector as we understand it today. Devex has previously reported on the potential for blockchain to transform development. The World Economic Forum has called blockchain a "mega-trend" and the United Kingdom’s Department for International Development's innovation chief, Tamara Giltsoff, called blockchain the next tech game changer. Now the United States Department of State is keen to explore applications of this technology to the work of international development and diplomacy. Blockchain is here to stay, and over the next few years — yes years, not months — we can expect to see it increasingly in emerging markets. The potential is immense — but where can actual success stories be found? Through research, conferences, meetups, and meetings, we’ve been trying to identify where and for what blockchain use case applications are being implemented or piloted in developing countries, focusing on applications that can benefit the poor. We are developing and will soon launch an Impact Register, to provide a repository of prequalified, genuine use cases for developing countries.Here are examples of blockchain being used across sectors. ► Blockchain and bitcoin: Global development game changers? ► Alibaba's blockchain embrace: A watershed moment for financial transparency? The fastest moving sector is fintech, or financial services applications. Many of these are aimed at the unbanked, and are proliferating. BitPesa is a fast moving pan-African blockchain-based payment system headquartered in Kenya. It is targeted at businesses to easily make payments to employees, distributors, and suppliers. Banqu is using blockchain technology in Indonesia to offer banking services to refugees, the displaced, and impoverished people. UCash, a Canada-based company, offers both blockchain and traditional banking services through their cloud-based customizable software in India. Users can pay bills, cash checks, send remittances, trade bitcoin, or certify transactions. In the ever-expanding space of remittances, CASHAA is a blockchain-based financial service that helps complete mobile cash transfers with zero fees. Cash senders can choose the amount to transfer in their currency and the amount to be received in the currency of the receiver. CASHAA beta is currently set up to accommodate British pounds, Indian rupees, Nigerian naira, and Indonesian rupiah. To run the transfers, CASHAA uses over 12,300 registered traders, who buy and sell bitcoin to aid in the cash transaction. Another rapidly developing sector is peer-to-peer energy trading, which offers opportunities for the poor to both access renewable energy and trade it. Solar startups Azuri Technologies, Off-grid Electric, and Mobisol are producing low-cost solar panel solutions for off-grid areas in rural Africa. In Bangladesh, SOLshare offers a blockchain-based "swarm electrification" service to allow solar producers to sell solar electricity to their neighbors. If a user needs electricity, they simply add bKash, the country’s largest mobile banking network, credit to their mobile wallet, turn their SOLbox to "buy mode" and trade credit for power, for those looking to sell electricity, they simply switch the box to "sell mode.
" The credit in the mobile wallet can be used to purchase goods at local stores. Similarly, Australian Power Ledger uses blockchain technology to allow individuals who generate energy with renewables (i.e. rooftop photovoltaic arrays) to sell surplus electricity to their neighbors. With the peer-to-peer trading system, electricity consumers save financially and property owners maximize the value of their renewable energy investment. Agriculture supply chains is another sector where blockchain has great potential. Bext360 leverages blockchain technology to manage payments in automated kiosks that evaluate produce — cherries and coffee — negotiate price and transfer digital cash. The company makes digital/mobile payments directly to all the stakeholders in the supply chain, including farmers, communities, banks and others. Their system tracks the goods from their source to end consumer, enabling customers to directly interact with the supplying communities. Their first machine will be tested in California and then launched in the Democratic Republic of Congo and Columbia. Provenance, another supply chain application, uses blockchain to verify the origin of foods. Provenance is conducting pilots focused on Asia tuna supply chains to ensure slave-free labor, raw alpaca fleece sourcing in the fashion industry, and single-origin coffee supply chains. In the area of land registry, two startups in Ghana are testing blockchain solutions. BenBen’s blockchain-enabled land registry allows people to search, manage, and verify property and land documents such as site plans, indentures, and mortgages. BenBen has two programs running in Accra, Ghana, and plans to expand to Nigeria, Mozambique, and Colombia. Bitland hopes to create a digital land registry that is universal, transparent, immutable, and bridges the gap between the government and undocumented areas. The company currently runs pilots in 28 communities in Kumasi, Ghana, and aims to expand across Africa to train people about blockchain technology, land rights, and corruption reduction in the land sector. New initiative aims to deliver on the promise of blockchain for identityThe launch of the World Identity Network may have taken place at Sir Richard Branson’s private luxury island, but the aim is to benefit the 2 billion people living without recognized identification documents. Central to all of these applications will be identity. Bitnation's Refugee Emergency Response focuses on the identity and financial issues of displaced people in the European refugee crisis. By signing up for a blockchain emergency ID, refugees can have a permanent, non-government affiliated ID (a quick response code) that is verified through their relationships with friends and family. Bitnation also provides access to bitcoin debit cards, where donors can fund a refugee’s new bank account, leading humanitarian aid right to the hands of those who need it. An exciting new entrant to the ID space is the IDBox, which can register a digital identity without electricity, internet, or smart phones. 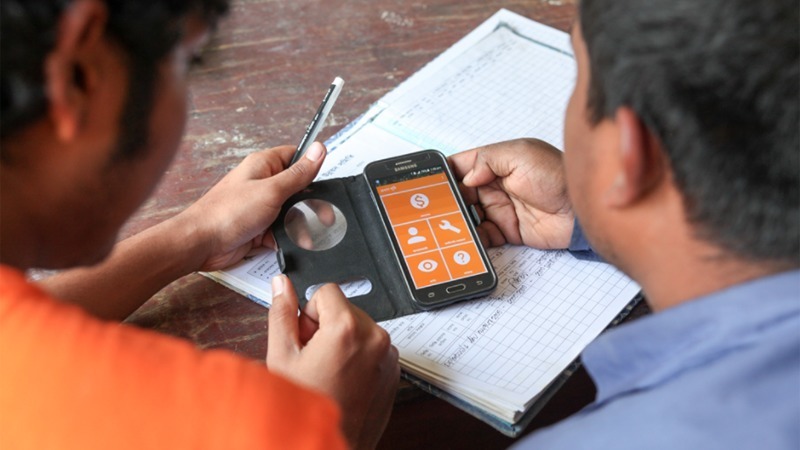 IDBox can be used in humanitarian emergencies, remote populations, and can ensure cash transfers reach intended beneficiaries. Abt Associates is working with the Papua New Guinea Central Bank and IDBox founder Julien Bouteloupe to run a use case trial in Papua New Guinea. Another area of interest is the development of applications to track donor funds. Aid: Tech works with governments and NGOs to improve the flow and transparency of funds and services to underserved people. 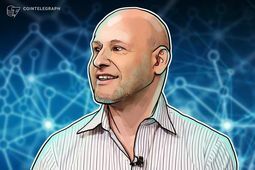 They have completed a blockchain pilot in Lebanon, providing digital cash vouchers to Syrian refugees to enable them to purchase much-needed food and other supplies. Another startup called Disberse aims to reduce the mismanagement or misappropriation of funds moving from donor to recipient. Disberse launched three pilot programs managing funds with their blockchain solution in school payments in Swaziland, an environmental deforestation initiative in Uganda, and a solar energy project in the Philippines. It’s not just the technology developments to watch — it’s also how funds are raised to scale it. A new runaway phenomenon called initial coin offerings is moving so fast, it takes your breath away. This new fundraising phenomenon is fueled by a synergistic convergence of blockchain technology, new wealth, clever entrepreneurs and cryptoinvestors backing blockchain-fueled ideas. They raise funds by creating their own cryptocurrency. These are offered at discounted rates on digital assets before they hit the cryptocurrency exchanges. A digital asset is created, a value determined — and by consensus reached by investment, value is settled by a network of participants rather than by a central authority or government. Startups can now open source or put their project under a nonprofit foundation and raise money — and not just seed money, but significant growth capital into the millions. While the phenomenon is huge, there remain issues of interoperability, governance, technical talent shortages, crossborder agreements, and credentialing of funders. With token sales and initial coin offerings generating many millions of dollars, some fintech companies and individuals are exploring how token sales could create social change. Idealists see that the movement is all about creating community — creating a social network or market place for likeminded people with opportunity for benefactors to get involved as well. It creates network incentivization for a new way of global, blockchain-powered, and innovative businesses that could change the world for the better.